Summer News from North Carolina! 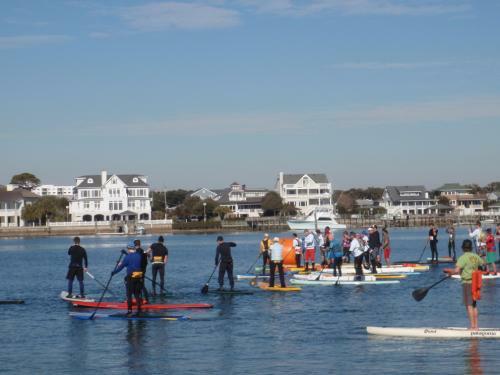 Excellent weekend in NC for the Cold Stroke Classic sup race put on by Coastal Urge!! Placed 1st overall woman and mid pack against the boys in the 12'6 class, super stoked!! The weather was ideal... well, I still couldn't feel my feet, but we had sunshine, crisp breezes and wicked tidal currents which made for crazy fun sup racing! (mid 40's for the race) Very friendly venue with awesome shwag. I can't thank Meghan and Andrew enough for driving my board all the way from Pensacola, Fla and hanging out for the weekend, you guys are the BEST! Blockade Runner was a killer hotel and the awards banquet was a ton of fun with new and old friends and great entertainment, prizes and raffle! Looking forward to the next race on the calendar! 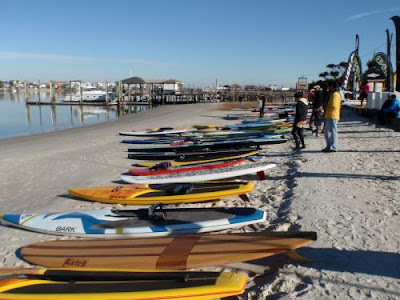 "Pretty stoked to only have been 9 minutes behind Chris Hill on a 14' and rising sup star Larry Cain on his 12'6!!!" "Kialoa and Bark ruled the weekend!!"